BigPond customers have been caught out by a bug between the new Windows 8.1 update and the modems issued by Telstra to broadband customers. 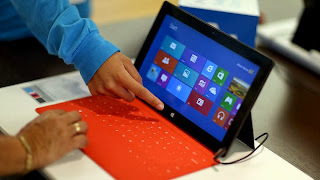 The bug leaves customers unable to connect to the internet or load web pages, but only affects those who upgrade to the new Windows operating system. Since discovering the bug Telstra has developed a remote fix, which avoids the need to potentially replace thousands of modems manufactured by a company called Technicolor. However, users say the temporary fix does not let them download unmetered data, such as BigPond content. "We've identified an incompatibility between the Windows 8.1 update and a type of modem we provide customers," Telstra spokesman Scott Whiffin said. "The issue only relates to customers using our T-Gateway [modem] and Premium Home Network Gateway [modem] and we've worked with the supplier to develop a solution. This solution has been rolled out to our ADSL and Velocity networks and we would ask customers having problems accessing their service to reboot their modem by turning them off and on. Customers on the NBN will receive this fix in the coming days." Restarting the modem would trigger a remote management system that allows the modem to work with Windows 8.1, he said. Customers with Netgear modems were not affected, only those with Technicolor series 10 equipment. Mr Whiffin apologised and said "the issue has only just surfaced", but technical support staff had been briefed on the problem. A permanent fix was being tested and would be given to customers in the next maintenance cycle, he said. Telstra's Crowd Support website warned that the temporary fix may affect unmetered content for Big Pond customers. However, Mr Whiffin said "we don't believe there are any access issues" and customers should call if they were being charged for BigPond content.